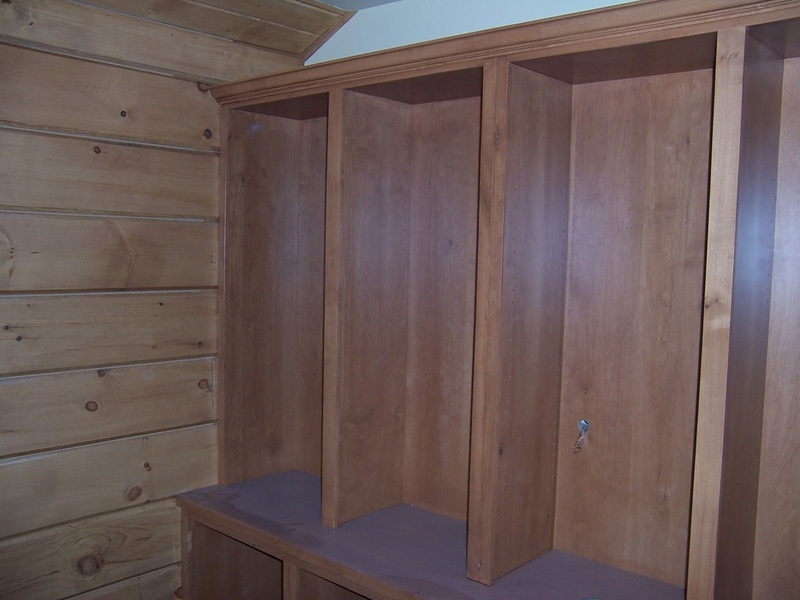 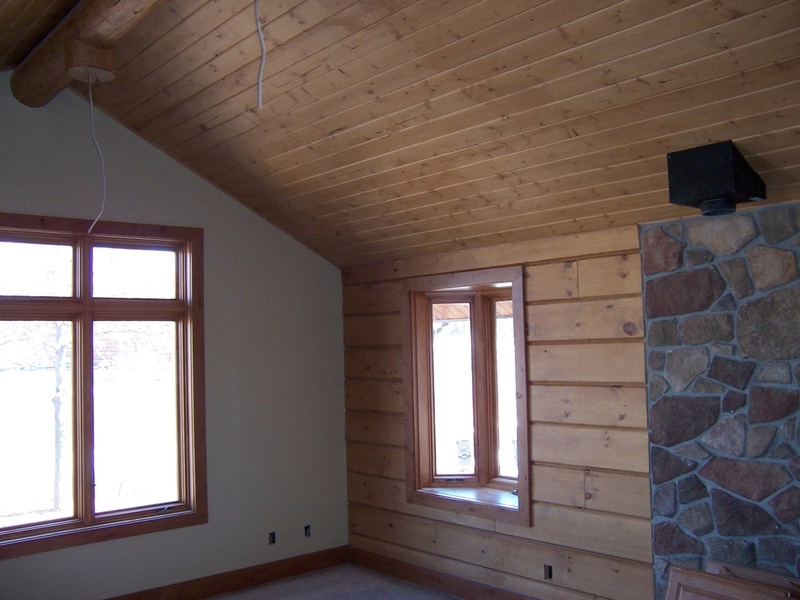 Finishes - Summers Painting, Inc.
Click on the photos to enlarge and view. 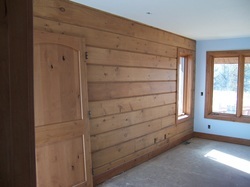 We prepared this wall by sanding before applying the waterborne stain and finish. The light coming in the windows highlights the hue of colors on the stained and finished wood. 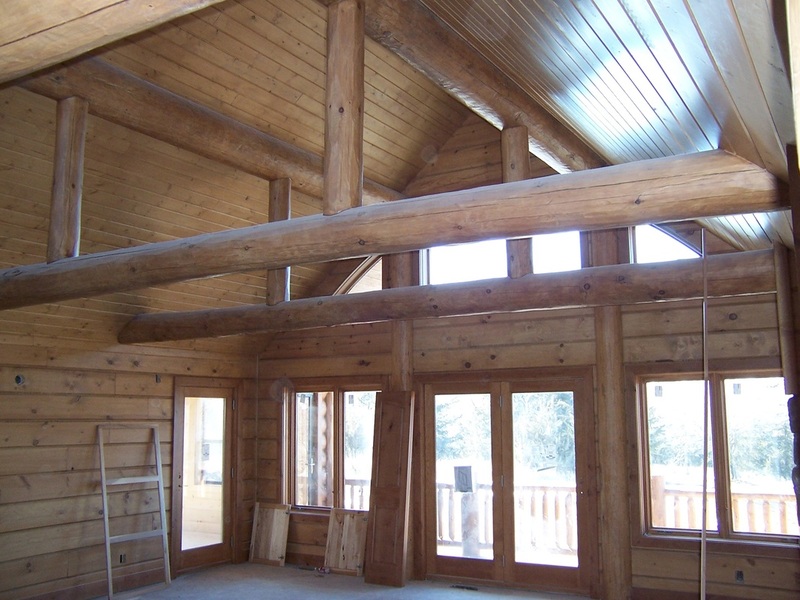 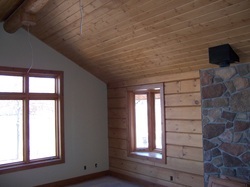 These beautifully stained pine logs cascade down from the center peak to the floor in this room. 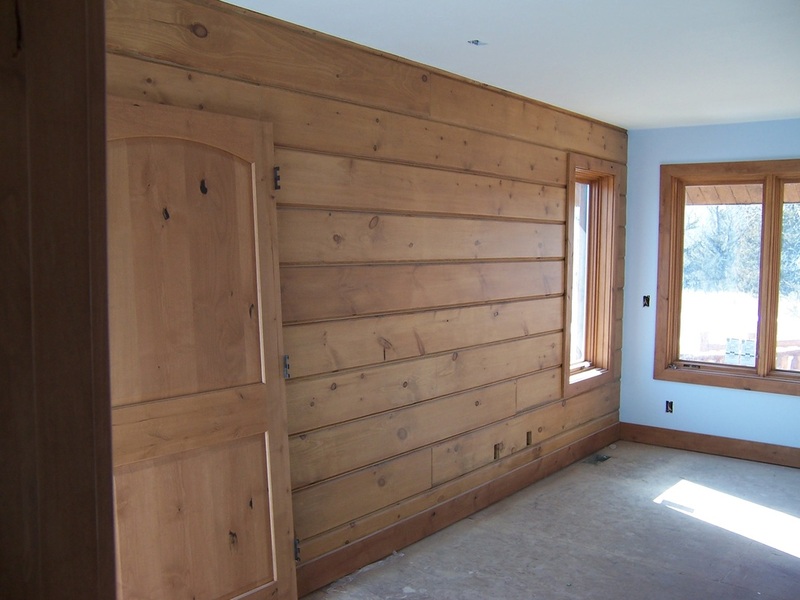 The wall logs are flanked by a handsome bookcase. 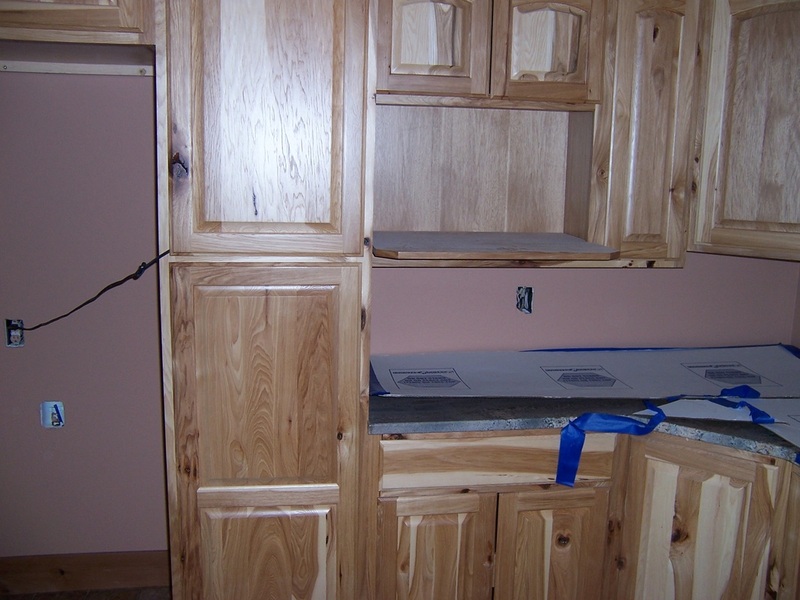 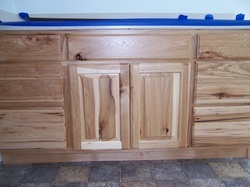 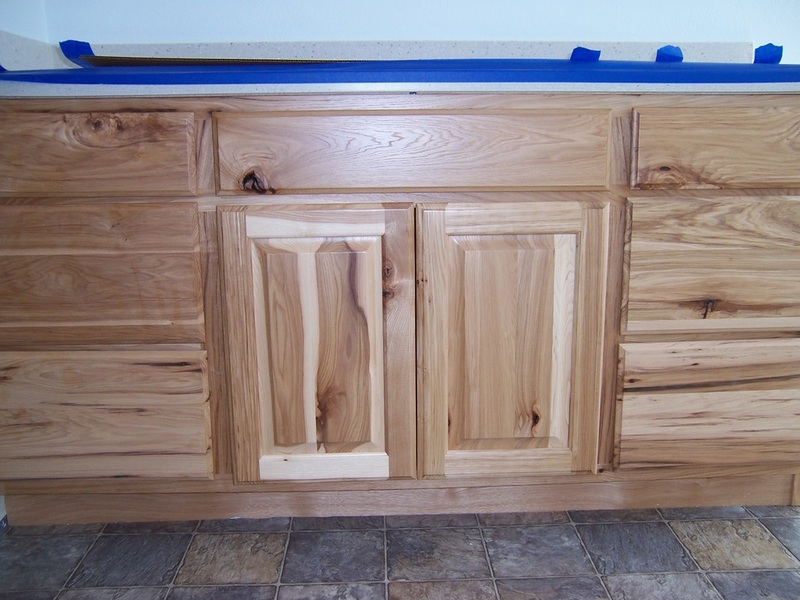 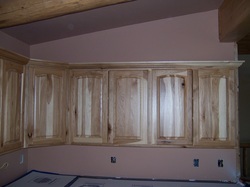 Hickory wood with clear coat finish on lower kitchen cabinet. 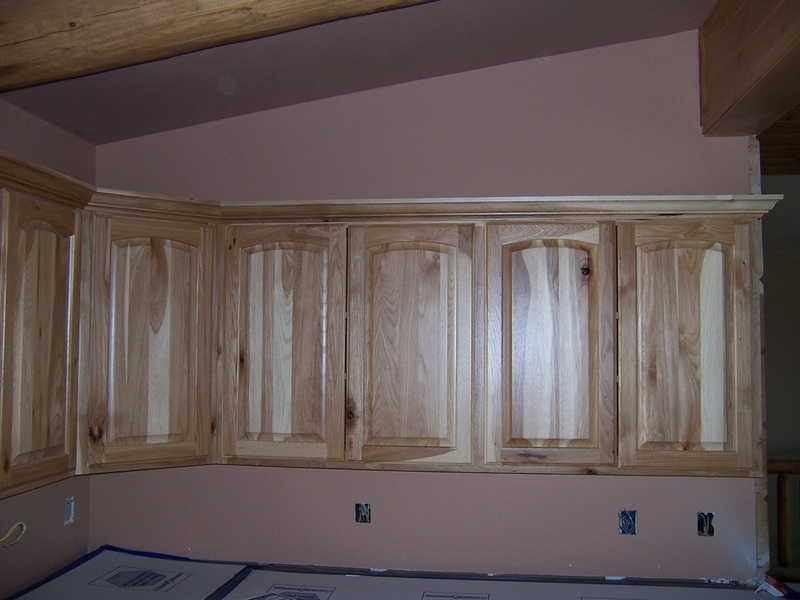 Hickory wood with clear coat finish on upper kitchen cabinets.